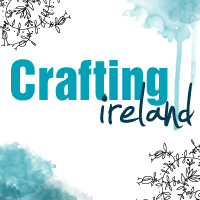 Today Andrea Ockey Parr, our fabulous DT member is going to show all our readers how to create beautiful bows from some ribbons that we all have lying around. The solution? Junk bows! Junk bows are created from all of those leftover strands and strings that have been lying around in our craft stash for too long. Junk bows are unique and a snap to make, but best of all, they’re a great way to give your leftovers a wonderful new purpose. 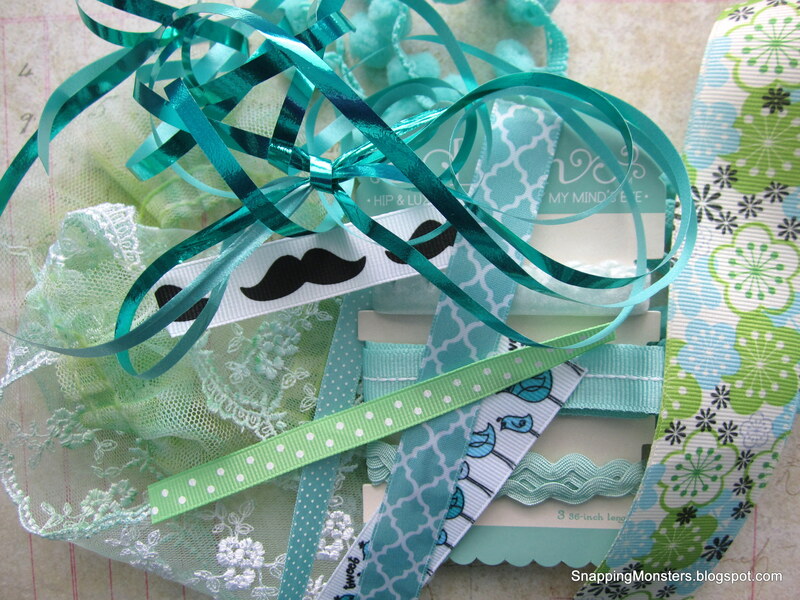 Start your junk bow by cutting pieces of similar-length strips of coordinating ribbon, yarn and/or lace. 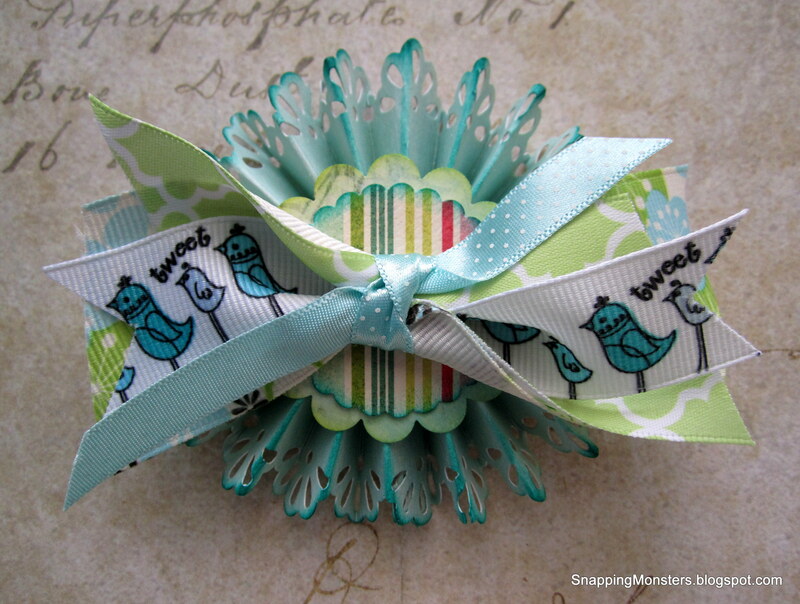 You can cut them straight on the ends, or angled, or even fish-tailed like I’ve done with the piece of bird ribbon. 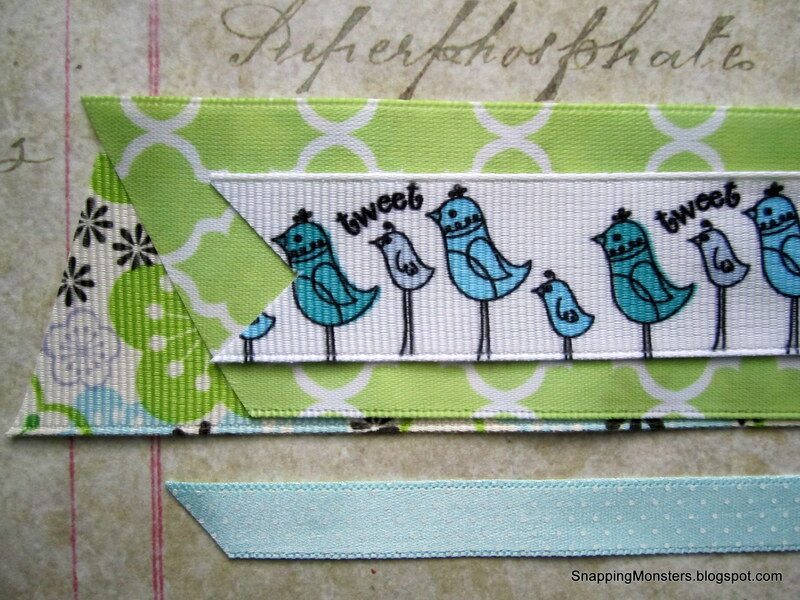 Start with the widest strip of ribbon on the bottom, then layer the other strips on top going from widest to most narrow. Don’t worry if your edges don’t line up or if your middle strips are longer than your base strip. They are supposed to look sort of unplanned and “junky.” Do remember to keep one strip aside, however, to tie the bow together in the center. 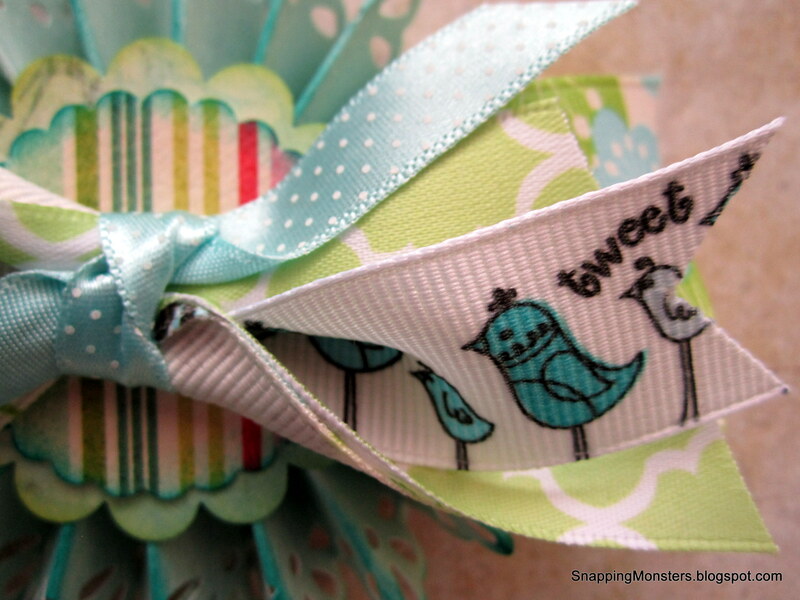 Use the narrow strip you set aside and tie it around the center of your ribbons to form the bow. Once your junk bow is finished, you can attach it to all sorts of things! Since you can make junk bows in any size and in any color, they’re great for hair accessories, scrapbook or card embellishments and for gift-wrapping. You can attach them to a rosette base, like I’ve done, for another fresh look. 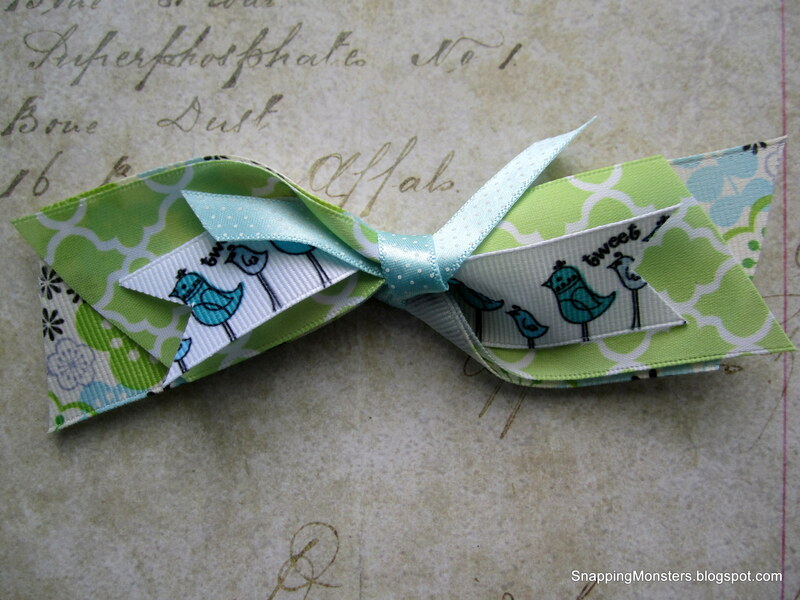 Junk bows can be made from any scraps, even if the ribbons or lace don’t seem to “go” together. The point of them is that they’re made from strays and spares and leftovers. 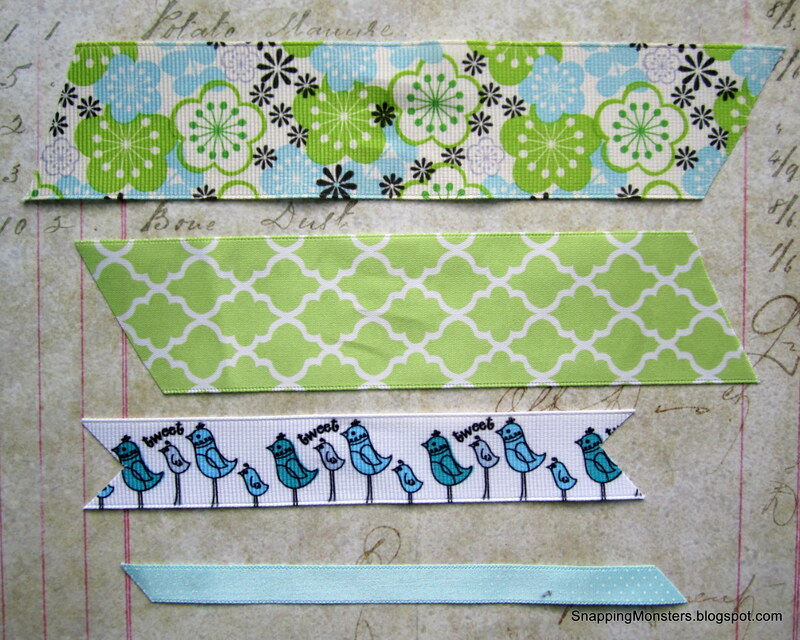 Go crazy with the scraps and remember that even though these are called “junk bows,” there’s really no such thing as junk to a crafter! What a great idea!! If you would like to see more of Andrea’s creation, visit her blog.